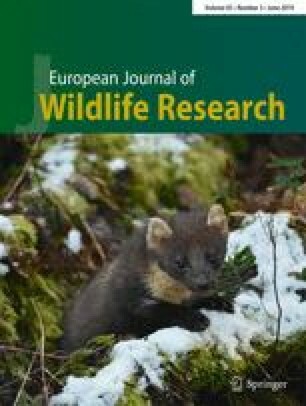 Human-carnivore conflicts arise as one of the most urgent carnivore conservation issues worldwide. Jaguars (Panthera onca) and pumas (Puma concolor) coexist with livestock in much of their range and have been historically blamed for livestock predation. At present, livestock landscapes are increasing, enlarging the conflict scenario where local perceptions are vital to understand the context in which the conflict emerges and data of livestock predation become an effective tool to plunge into it. We assess local perceptions about felids and identify the bases of the conflict in the Bolivian Pantanal and dry forest ecoregions using livestock predation data. We interviewed local ranchers and crossed information with the governmental livestock database achieving a comprehensive study on the conflict, based on descriptive statistics for local perceptions and generalized linear mixed models for analyzing cattle predation by felids. The conflict appeared to be widespread since most ranchers suffered predation on cattle, especially in the Pantanal. Annual cattle loss is generally low (1.8%) with some exceptions that may magnify the generalized negative perception towards felids. Factors related to cattle management practices explained better felid predation on livestock rather than habitat quality of the ranch or ranchers’ attitude towards felids. We recommend local administrations to recover livestock predation data and to highlight the importance that husbandry practices may have to reduce cattle losses by felids. The online version of this article ( https://doi.org/10.1007/s10344-019-1272-8) contains supplementary material, which is available to authorized users. We would like to thank Norka Rocha and Ricardo Barberí for their help in undertaking the questionnaires and the Anmi San Matías office (SERNAP) for the permission to conduct this research in protected areas. We also thank Miguel Camacho and Miguel Clavero for their helpful comments on the first drafts and Eva Moracho and two anonymous referees who have improved notably this paper. Financial support of this work was provided by the Spanish Cooperation Agency (Agencia Española de Cooperación Internacional para el Desarrollo) through a MAEC-AECID personal grant for the author.